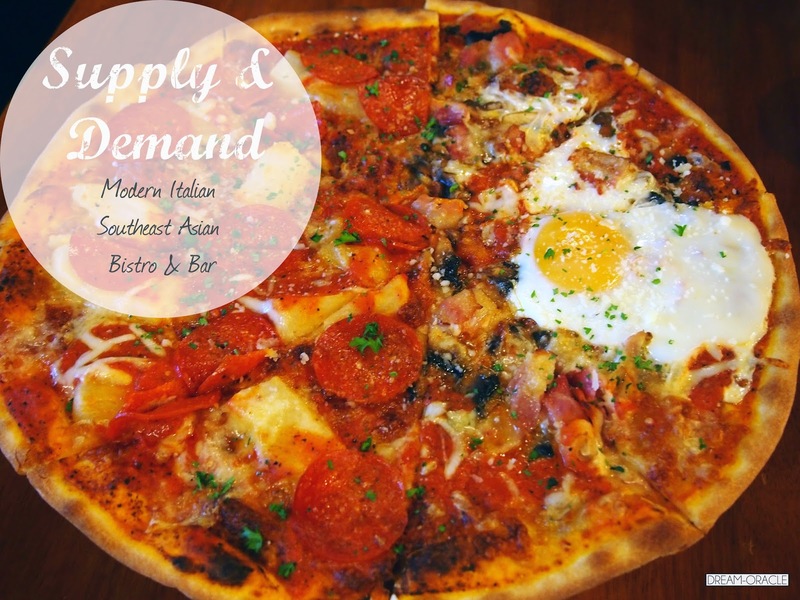 Supply & Demand is a modern Italian Southeast Asian Bistro and Bar, serving up some really interesting recipes of fusion food. This is their second branch opened in a quiet corner of Orchard Gateway. It's hard to miss that place because they've tacked a giant chalkboard on the wall with colourful writing all over it. Definitely an inviting environment made for dining. After hearing so much about their pizzas, we decided to try it for ourselves. Between the two of us, we decided to order a 2 flavour 13 inch pizza. The Morning After is a delicious combination of pancetta, mushrooms and a beautiful runny egg lying on top of the beautiful gooey mess. I like that the thin crust pizza here is really as advertised; thin crispy crust that is so light you can gobble 2-3 slices and not feel bloated at all. 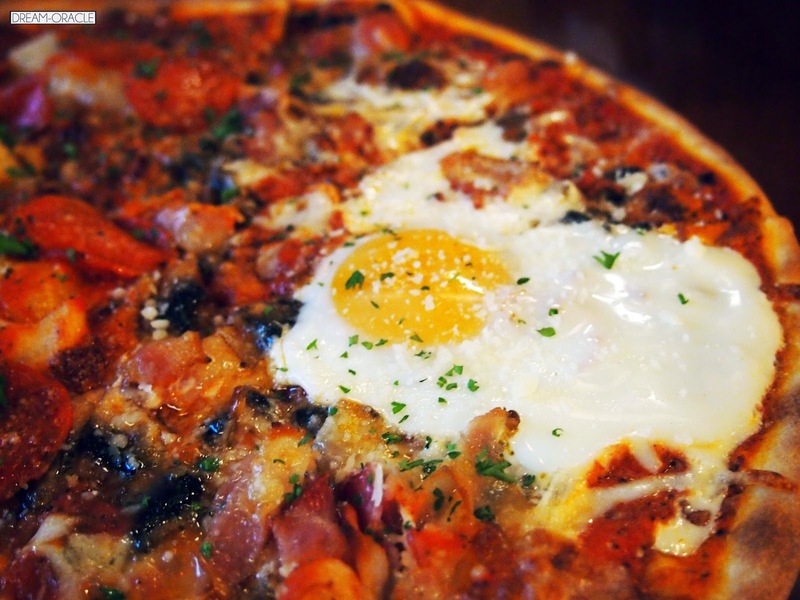 Pizzas with eggs are almost always a winner for me, this is definitely a must-order happy tummy dish. The Calabrese is a salami and roasted potatos pizza and this one tasted rather salty, but I enjoyed it a lot. The saltiness came mainly from the salami but it blended pretty well with the rest of the pizza and is a much more mainstream flavour than the comparatively lighter half of The Morning After. 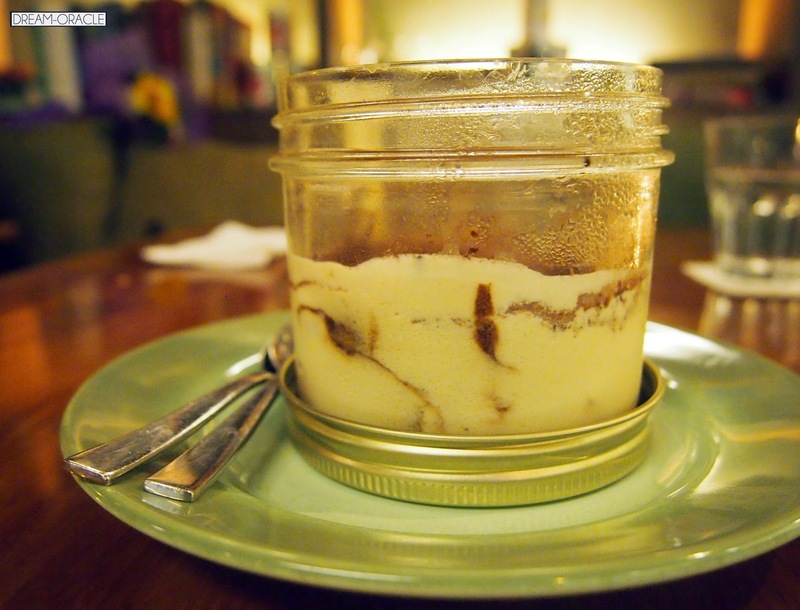 No meal is complete without a dessert and we ordered a pot of the Italian Tiramisu to share. 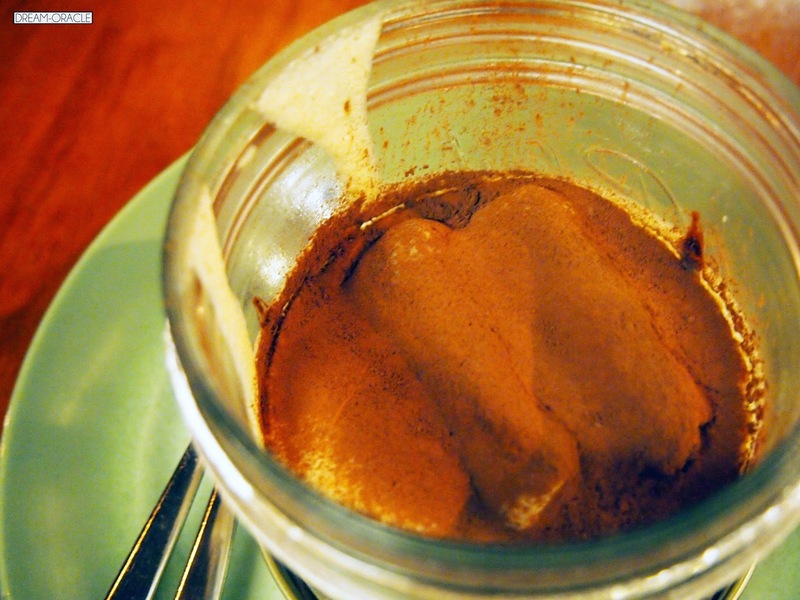 Seeing as it's my first time having tiramisu, I really have nothing else to compare to. All I can say is this version at Supply& Demand was sweet without being too cloying, moist and moderately alcoholic, one thing I didn't like was the fact that it kept sticking to the roof of my mouth while I ate so that was rather annoying. 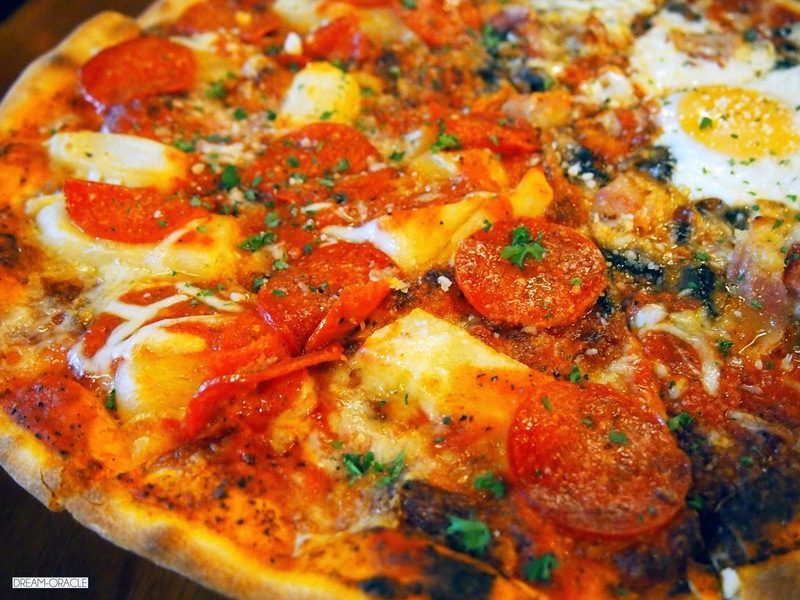 Thumbs Up: Delicious pizzas with interesting flavours! To Improve: Seats were too close, aircon a little too strong resulted in food turning cold too fast. Will I return: Yes definitely! Why: Being a fan of thin crust pizzas, Supply & Demand has convinced me that even though many places do awesome thin crust pizzas as well, their pizzas are actually worth returning for.